Members of the Catalan National Assembly (ANC) occupied the European Union headquarters in Barcelona on Friday in protest over the upcoming trial of Catalan political leaders and to call for self-determination. They demanded the release of jailed Catalan leaders and called upon EU institutions to ‘make a move’. They have now abandoned the sit-in protest. Various members of the pro-independence pressure group had entered the EU headquarters in the centre of Barcelona on Friday and locked themselves inside, while dozens of others blocked the front doors to prevent anyone else from entering the building. At least 20 activists stayed overnight. The ANC announced in a press conference on Saturday morning that the protest action was over. Soon after the occupation took place on Friday, the ANC posted messages on social media calling on sympathisers to join the protest, taking advantage of the fact that a lot of supporters were already in the area making their way to a different demonstration. 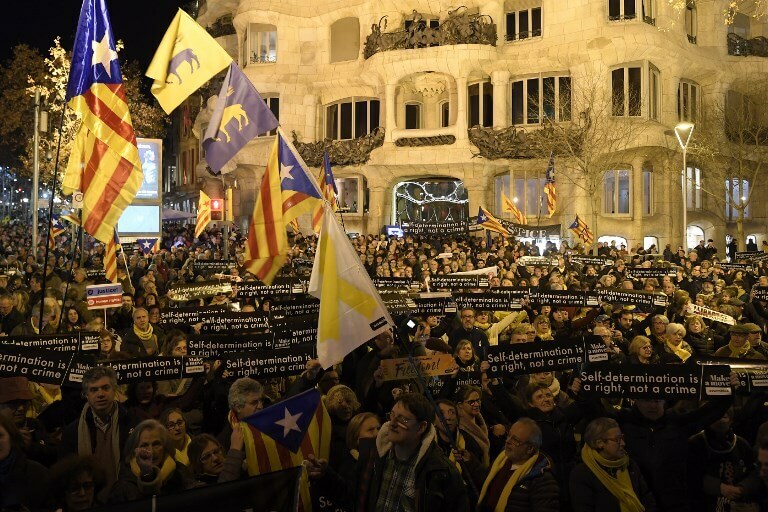 Several hundreds of protesters also blocked the crossroads between Passeig de Gràcia and Provença, in the centre of Barcelona. People held placards reading ‘self determination is a right, not a crime’ in front of Spanish architect Antoni Gaudi’s Casa Mila, La Pedrera building. ANC activists addressed a letter to the Commission president, Jean Claude Juncker. They called on the European Union to trigger Article 7 of the Lisbon Treaty against Spain, which would suspend its voting rights in the EU Council. 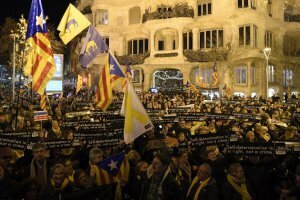 Some 500 members of another pro-independence group, the Committees in Defence of the Republic (CDRs), also rallied in the centre of Barcelona on Friday night and threw eggs and paint to the HQ of Catalonia’s home affairs department and the Spanish public prosecutor’s seat in Barcelona.